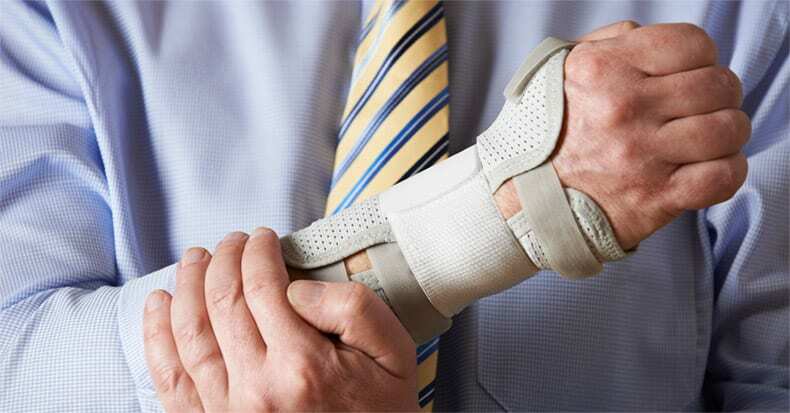 Carpal Tunnel Syndrome: Don’t Wait! Carpal tunnel syndrome (CTS) occurs when the median nerve is compressed as it passes through the wrist. Researches estimate that the average person has a one-in-ten chance of developing the condition in their lifetime, and the risk is higher for individuals in certain professions (such as those using heavy, vibrating tools) and with medical conditions (like diabetes). The symptoms associated with CTS involve pain, numbness, tingling, and weakness in the hands and fingers, typically sparing the pinky and outer half of the fourth digit. Given that some of us are more likely than others to develop CTS, what should we do if we start to encounter symptoms associated with the condition? Is it important to seek treatment right away or is it safe to wait? Generally speaking, the faster a patient seeks care, the quicker they will respond to conservative treatment options like those offered in a chiropractic clinic. Delaying treatment may mean a longer recovery or even having to consider more invasive options, like a surgical procedure. But why is that? Like many cells in the body, the nerves are provided nutrients by way of blood vessels. When even a small amount of pressure is applied to the median nerve, it can damage those blood vessels. Unless the vessels are given a chance to heal, the nerve can suffer. If the nerve damage is severe enough, even surgery may not be an option, and a patient may have to learn to live with their pain or find other ways to mask their symptoms. One big problem with CTS is that patients rarely wake up with severe wrist pain that prompts them to seek treatment. Often, the condition is subtle with pain, numbness, and tingling that comes and goes. Individuals with CTS may find it more of an annoyance than anything and tend to put off treatment until the symptoms cause too much of an impact on their quality of life to ignore and they’re forced to call the doctor. The good news is that patients often respond well to conservative care. Chiropractors often diagnose CTS and can effectively manage it without the need for more invasive surgical intervention, but the prognosis for an effective treatment outcome declines with the greater the degree of nerve damage. Hence, patients are encouraged to seek treatment sooner rather than later when it comes to CTS. Care often includes manual therapies (manipulation/mobilization), education (rest, ice, brace, exercise), nutrition (anti-inflammatory in nature), and more.